7 Days Safari Tanzania Camping / Lodge Family Holiday, best African safari tours Tanzania safaris in Northern Circuits National Parks will takes you to experience the hot and famous parks in Tanzania. You will visit and take one overnight at Lake Manyara National Park, one night at Serengeti National Park and another night at the Crater Rim of Ngorongoro Conservation Area. Upon your arrival at Kilimanjaro International Airport, a Leken Adventure Tanzania driver will be there to pick you up and transfer you to Peace Hotel in Arusha for an overnight stay. You will be picked up from Arusha and transfer to Lake Manyara National Park. You will arrive in time for lunch at the lodge and head into the Lake Manyara National Park after lunch for an afternoon game drive. This national park is one of Tanzania’s most dramatically located wildlife areas, consisting of a massive but shallow soda lake (covering two-thirds of the park), located at the foot of the Great Rift Valley’s western escarpment. The park’s varied habitat attracts a wide variety of animals, including one of Africa’s largest concentrations of elephants, Lake Manyara’s unique tree-climbing lions, as well as large flocks of flamingos attracted by the algae in the lake. Dinner and overnight stay will be at Migunga Forest Camp. After breakfast, you will head towards the Serengeti National Park via the beautiful high lying farmland of Karatu and the Ngorongoro Conservation Area. Leaving the highlands behind, you will descend into the heart of wild Africa – the Serengeti National Park – with its endless plains rolling into the distance as far as the eye can see. You will head to the central park area, known as the Seronera area, one of the richest wildlife habitats in the park, featuring the Seronera River, which provides a valuable water source to this area and therefore attracts wildlife well representative of most of the Serengeti’s species. You will arrive in time for lunch and enjoy an afternoon game drive in the Serengeti National Park. Dinner and overnight stay will be at Serengeti Kati Kati Tented Camp. After breakfast, you will stop at Olduvai Gorge which boasts with a history dating back to the dawn of time. It was here that the anthropologists Doctors Lois and Mary Leakey discovered the skulls of ‘nutcracker man’ and ‘handy man’, both very significant links in the chain of human evolution. You will arrive in time for lunch at the lodge and descend over 600 meters into the crater to view wildlife for a half day’s safari tour. Supported by a year-round water supply and fodder, the Ngorongoro National Park supports a vast variety of animals, which include herds of wildebeest, zebra, buffalo, eland, warthog, hippo, and giant African elephants. Another big draw card to this picturesque national park is its dense population of predators, which include lions, hyenas, jackals, cheetahs, and the ever-elusive leopard, which sometimes requires a trained eye to spot. You will also visit Lake Magadi, a large but shallow alkaline lake in the southwestern corner, which is one of the main features of the crater. A large number of flamingos, hippos, and other water birds can usually been seen here. You will have dinner and an overnight stay at Righo Lodge. Enjoy breakfast, after which you will transfer back to Arusha. 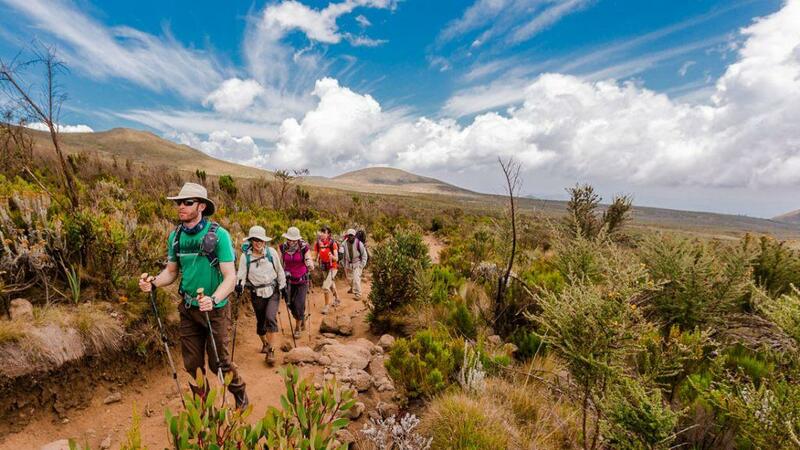 Upon arrival in Arusha, you will have lunch and then end this 7 Days Safari in Tanzania Camping, The group should tip the guide around 20 USD a day. You will be taken to Peace Hotel for an overnight stay which will be the end of your Tanzania Tour Safari Package. At any time, your driver and guide will pick you up and transfer you back to Kilimanjaro International Airport (JRO) for your flight back home. Daily healthy breakfast, lunch, and dinner. Service of an English-speaking driver and guide. Tips and gratuities for your driver and guide.